Posted on August 10, 2010	by Lou Murray, Ph.D.
My Blue Lake green beans are finally coming in. I picked the first of them on Saturday, over a pound, and another half pound today. The tomatoes are ripening at just the right rate for us to eat them all fresh, with none to freeze or can so far. Some days I get eggs and tomatoes from the garden. 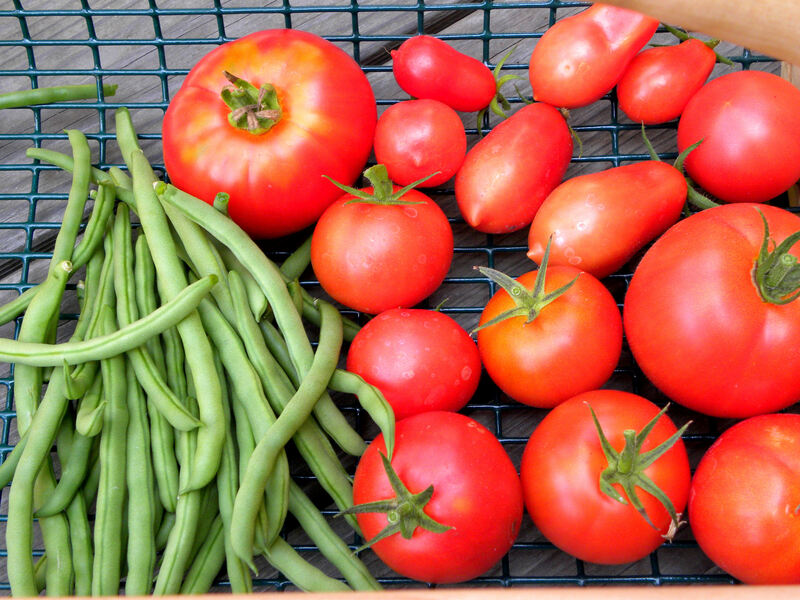 Some days I get green beans and tomatoes and forget to photograph the eggs. 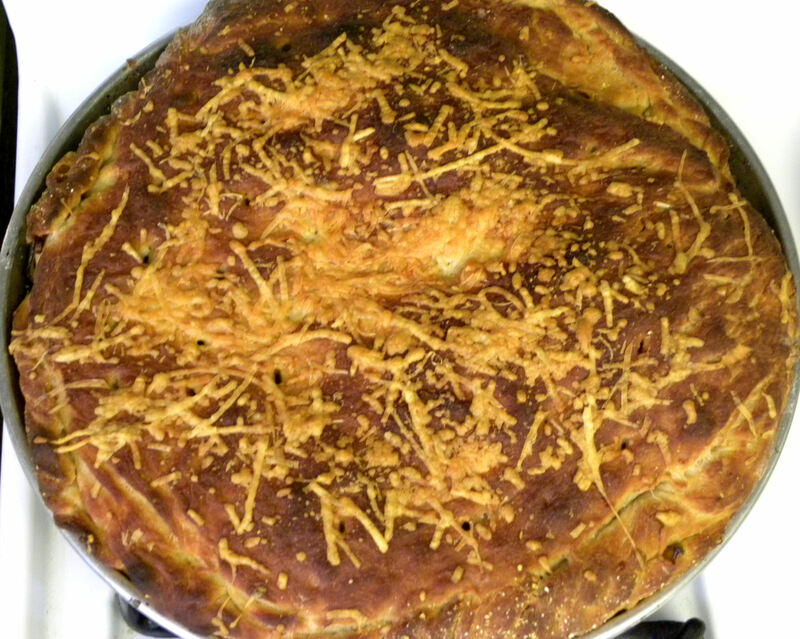 I've been making scotiatta (double-crust Sicilian pizza with mozzarella inside and Parmesan on top) with chard or bell peppers inside. Super yummy. 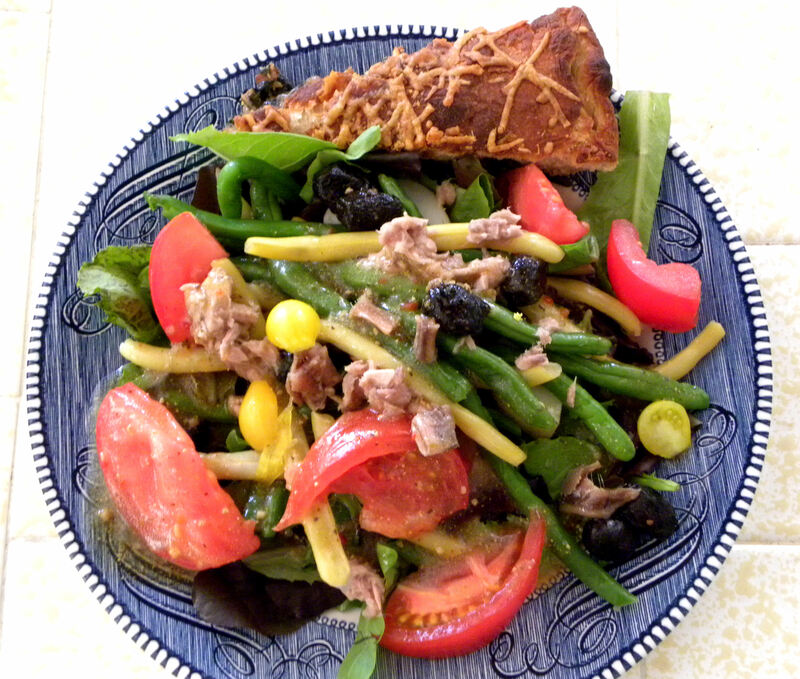 Salad Nicoise and scotiatta makes a nice lunch. I add spent brewers grain and used coffee grounds to my compost bin and am getting a LOT of worms and black soldier fly larvae. I feed this bounty of protein to the chickens. We have several Southern Alligator Lizards in our yard. 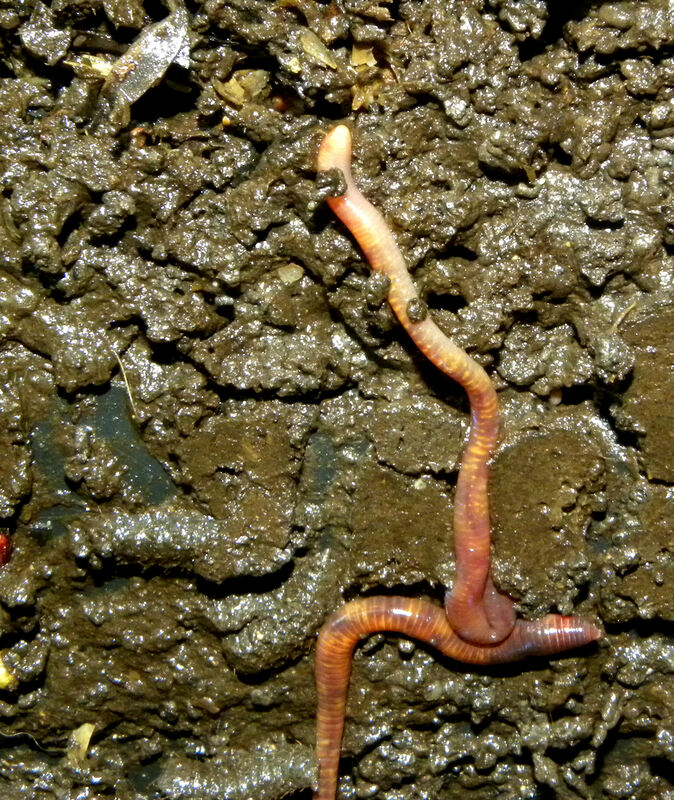 This one likes to visit the compost bin to eat some of those nice worms and larvae. 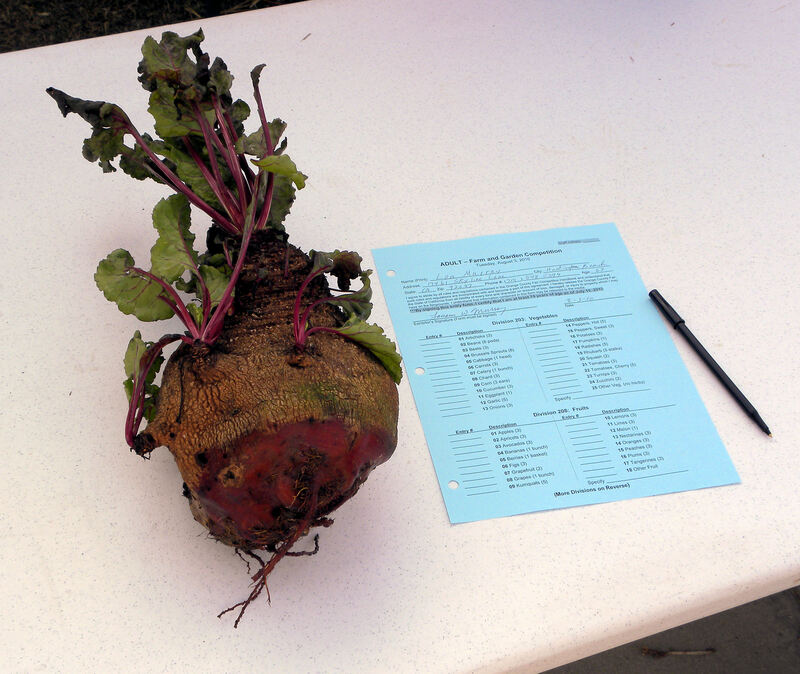 One of the Lutz Greenleaf beets that I planted last year overwintered and grew to an impressive size, 5 lbs 4 oz. 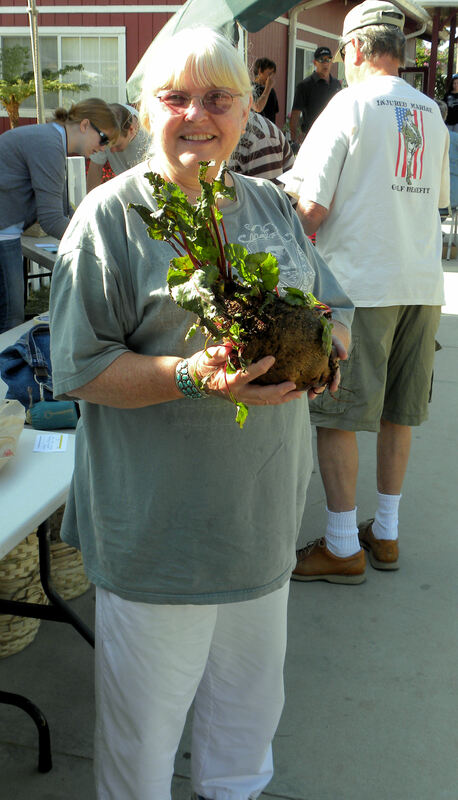 I entered it in the "Largest Beet" category at the Orange County Fair. It took second prize, so I'm pretty pleased. Woohoo, this is a weight record for the year for weekly harvests. Maybe it’s cheating to count the 5 lb beet, since it was a beet grown for competition, not for eating. But I’m counting it. If you had a harvest this week, visit Daphne’s Dandelions and log in on Mr. Linky so we can all enjoy seeing what you grow. 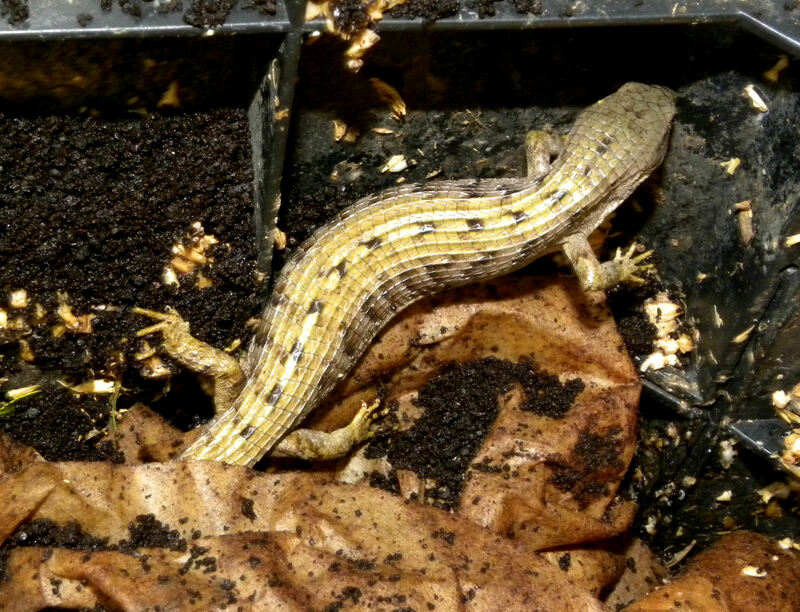 This entry was posted in Uncategorized and tagged beet, compost, earthworms, green beans, Harvest Monday, Orange County Fair, photos, Southern Alligator Lizard, tomatoes, vegetable garden. Bookmark the permalink. I’m so envious of your tomatoes. Here where we are, everyone’s griping about them not ripening. We’re hoping for a sunny August/September. What a fabulous beet! Do they still taste good when they get that big? Hi Barbara, I’m about to make a blog post about my heirloom tomatoes NOT ripening. Only the tomatoes I planted back in February are making ripe tomatoes so far. As to the Lutz Greenleaf variety of beet, they hold up very well to long keeping and don’t get woody as rapidly as other beets. But I didn’t want to spend the extra $3 on gas to go to the fair to pick it up, so I left it and the ribbon at the fairgrounds. The harvest is a nice mix of items which makes for good eating! That salad looks quite yummy. So, did you get to eat the beet? That’s pretty impressive, as is the rest of haul. No, Turling, Mac, and Thyme, we didn’t eat the beet. I didn’t want to spend the $3 on gas to go pick it up from the fairgrounds. I’m going to wait and eat some beets from this season, not ones from last year. We did eat one of the smaller Lutz year-olds, and it was a tiny tad fibrous. Not bad though. Your tomatoes look very pretty. I’ve been getting some cracks in some of mine. Still good, but not so beautiful. Hi Daphe, Thanks for the compliment on the tomatoes. We’ve eaten them all and now I’m squeezing the vines, trying to get some more to ripen. I’ve never heard of scotiatta, but your description of it sounds delicious. Was your beat still edible? Wow on the size! Congrats on your beet prize, did you taste it? 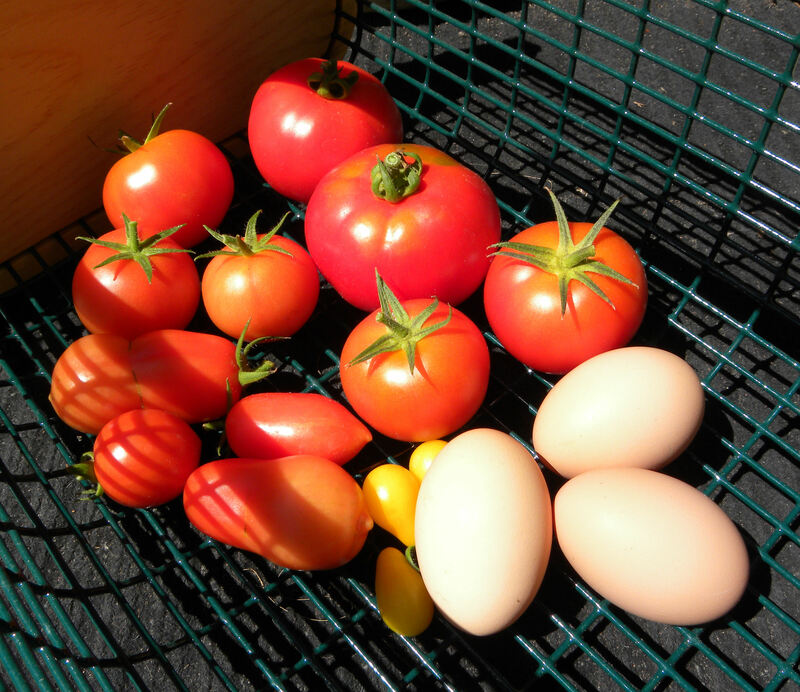 The eggs are big and the tomatoes are beautiful.